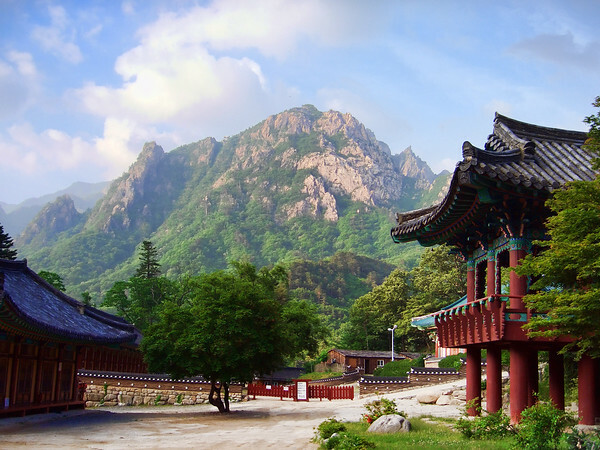 Sunday Photo; Sinheungsa, Seorak Mountain – Wake Up and Laugh! I shared this poem on my own blog on Friday, but loved it so much, I’d like to share it here as well. It’s taken from the Theragatha, a collection of 264 poems in which the early monks recount their struggles and accomplishments along the path to enlightenment. Quite gorgeous, as Marcus says. you’d be pleased to find there’s a cable car that brings you nearly to the top of that hill.